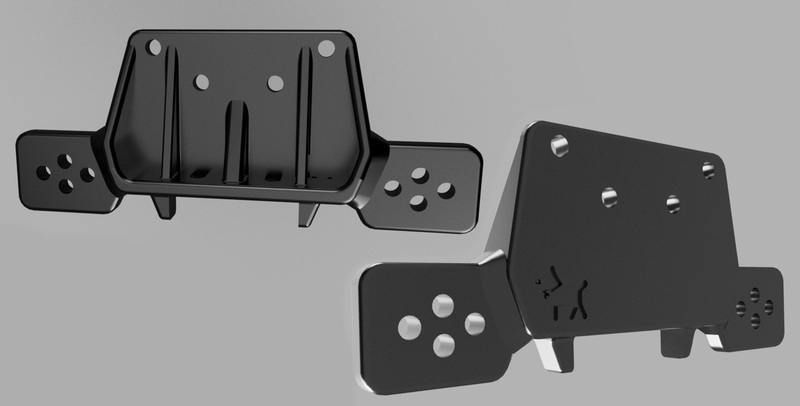 just dropped into 3D modeling and finaly the notch is open. I started with some parts I really needed. Dyna Blaster, Dyna Storm and TR-15T. 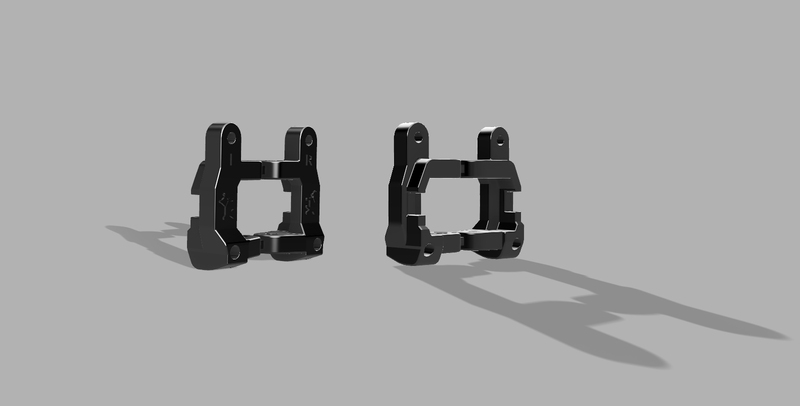 This is a reinforced version of the D2 suspension mounts. It fits all three models. 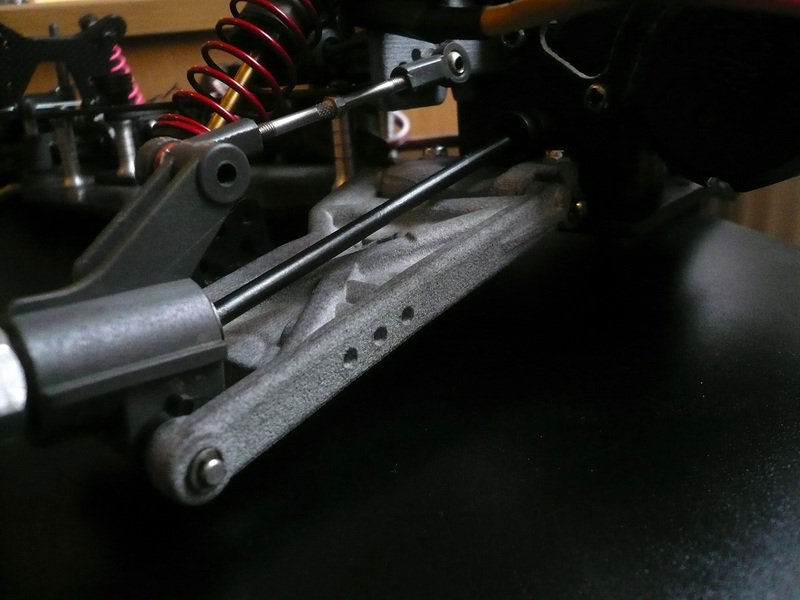 Here is the rear damper stay with a bit more meat around the ears for the upper arms. Made for Dyna Blaster and TR-15T. 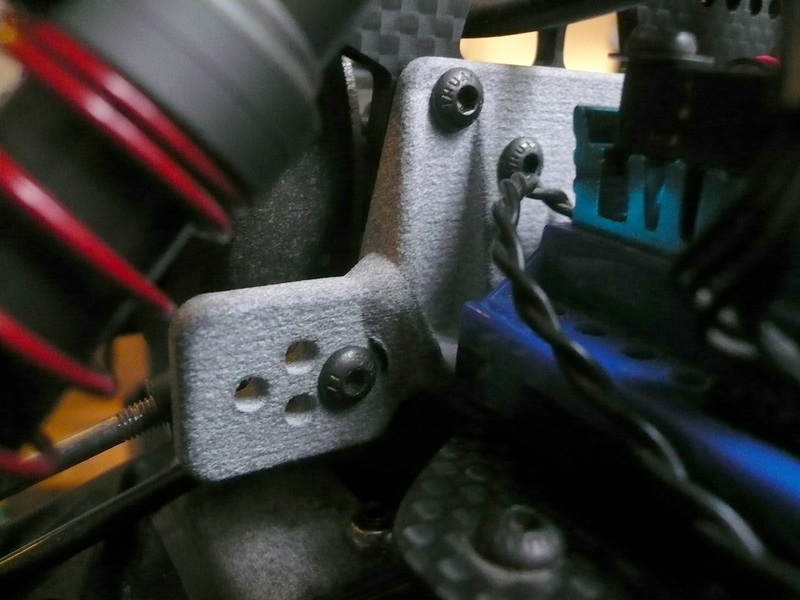 This version is made to combine it with the carbonfiber shockmount. Definitly becoming quicker and found out my own workflow... 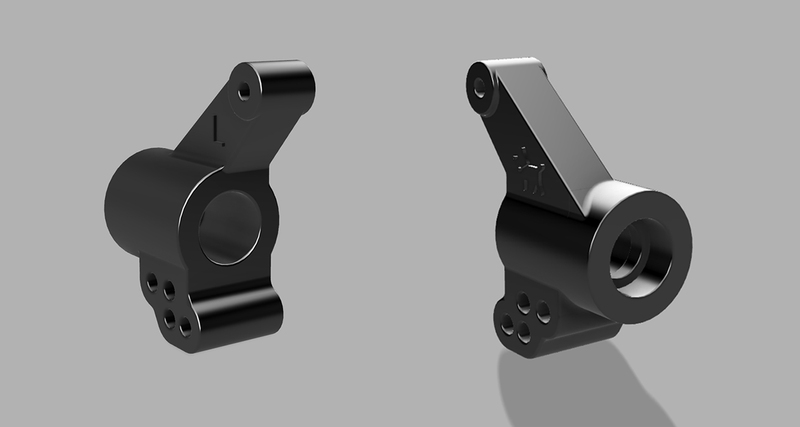 So here we have B3 front suspension arm for Dyna Blaster & TR-15T. Another day, another tool... On the left its the standard bulkhead, still using the brass bushings. 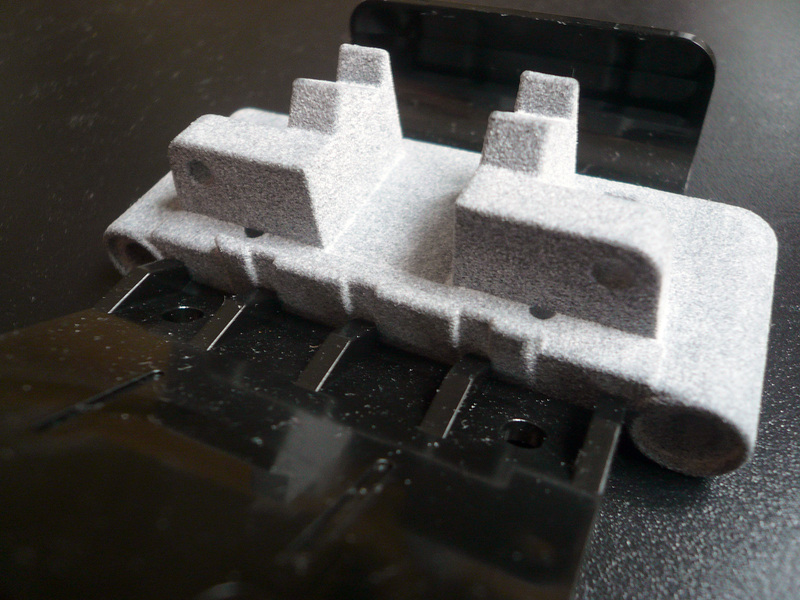 On the right a special version for the DB211x, which have 2mm higher spikes. 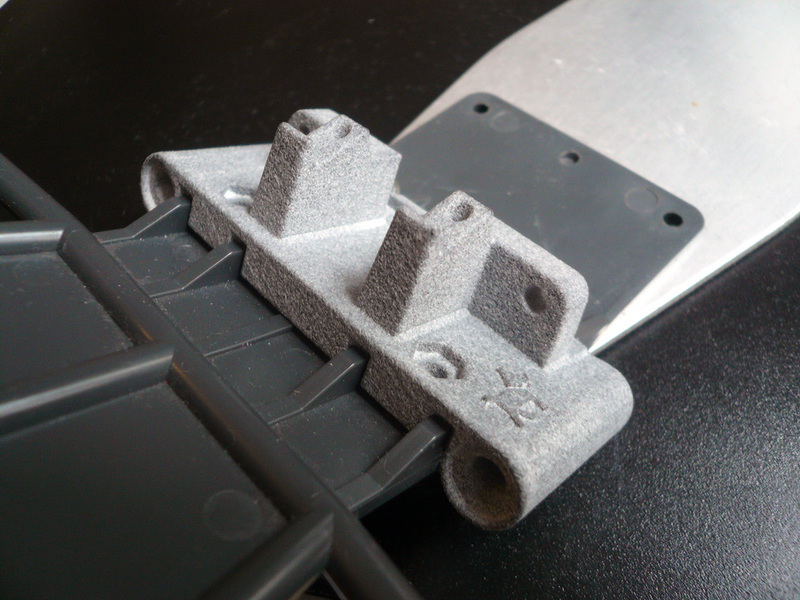 So it does not need the spacer inbetween bulkhead and upper deck anymore. 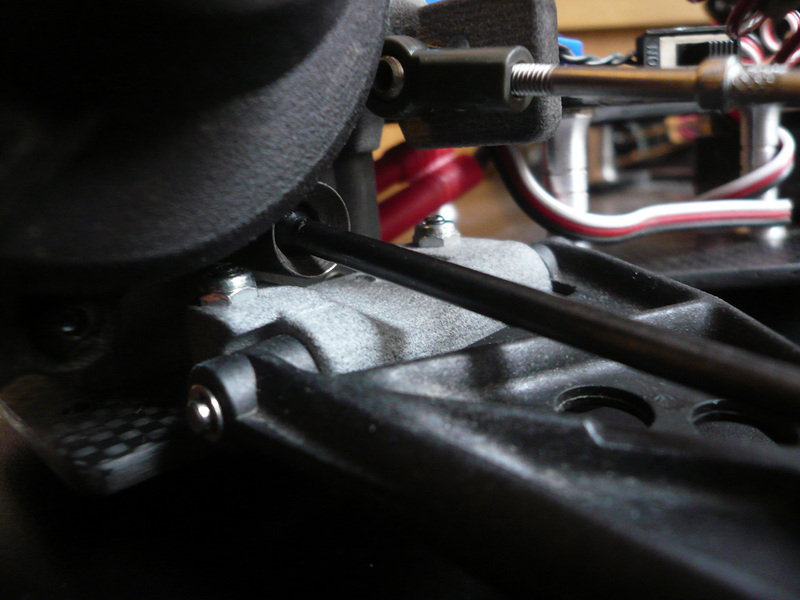 Drilling holes are straight downwards, so its not like the TRF211x which have a 30° offset. HI guys. I am not shure about the hingepins. 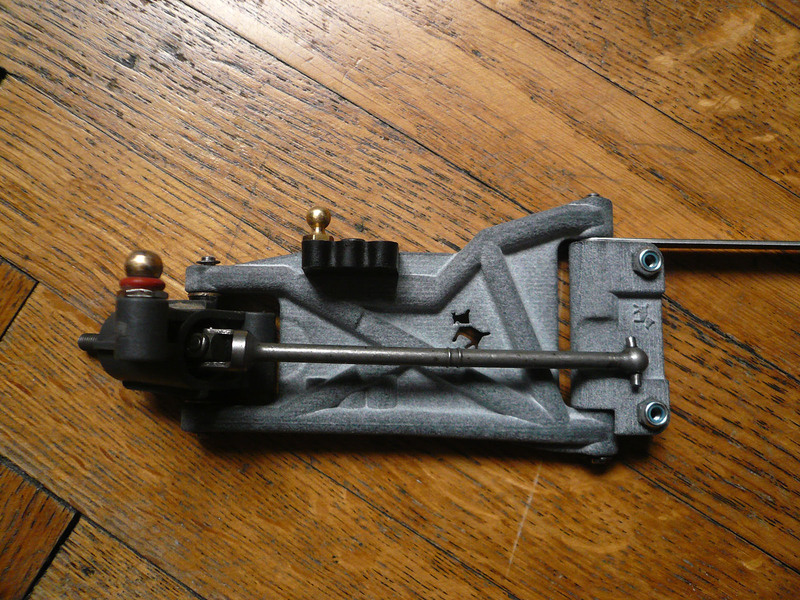 Shall I stay with the original brass -bushes whis is cool because the run really with no friction or doint 3mm drilling holes, so the hingepin run through the nylon? I am really not shure about. Pros and cons on both sides, both equal... would be great to hear your opinion. Need to rush to work, going to write later... Anyway, all fits perfect. woooohoooo! Okay, things run briliant on the 2nd patch. 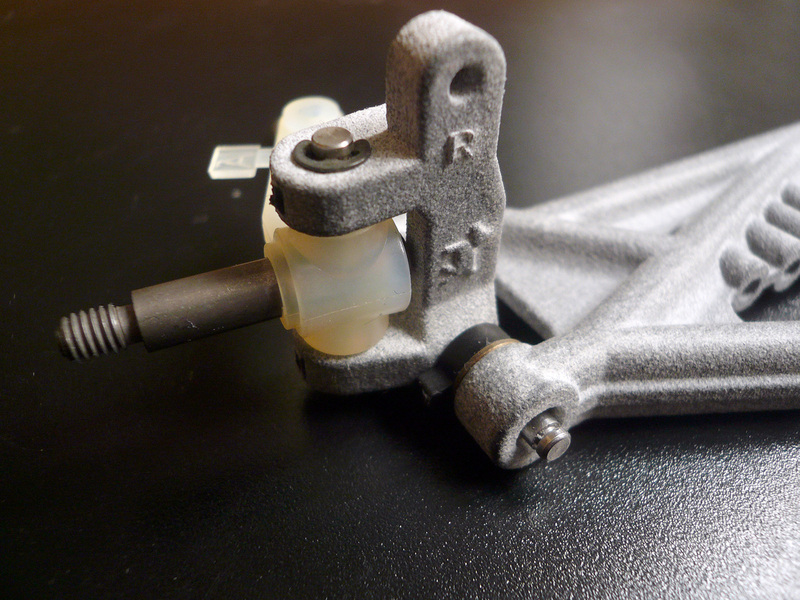 Even new prototypes does fit and just needed some minimal changes in 1/10mm dimensions. I have already uploaded the first patch to shapeways. But if you like you can PM me directly for the grey polyamid version. 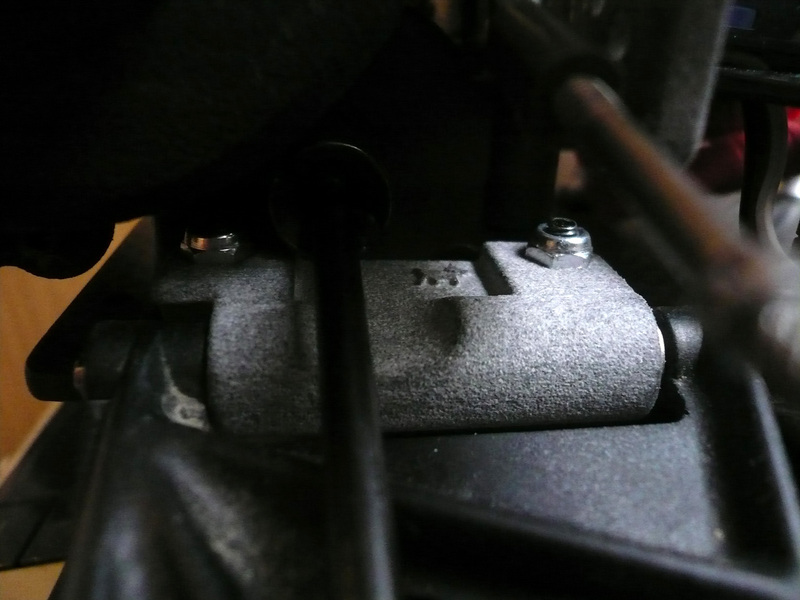 What is cool on the grey PA12, i heatet the surface with my gas lighter and the grey nylon dust became black. 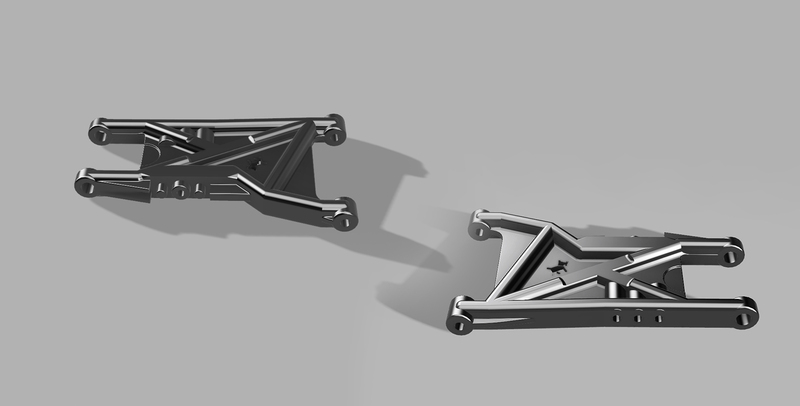 I´ll try to get some rests from the printshop to tinker around. I´d prefere them in all black. Anyway, I am so happy with my progress, with giving this child a name and creating a logo for all this. I am simply happy with all this results. I found my solution for the hingepin. Still using the brass bushes but they slip into the bulkhead. I will offer a version with simple 3mm holes for the one who does not want to go my way. Also reduced some play by adding a little here and there. 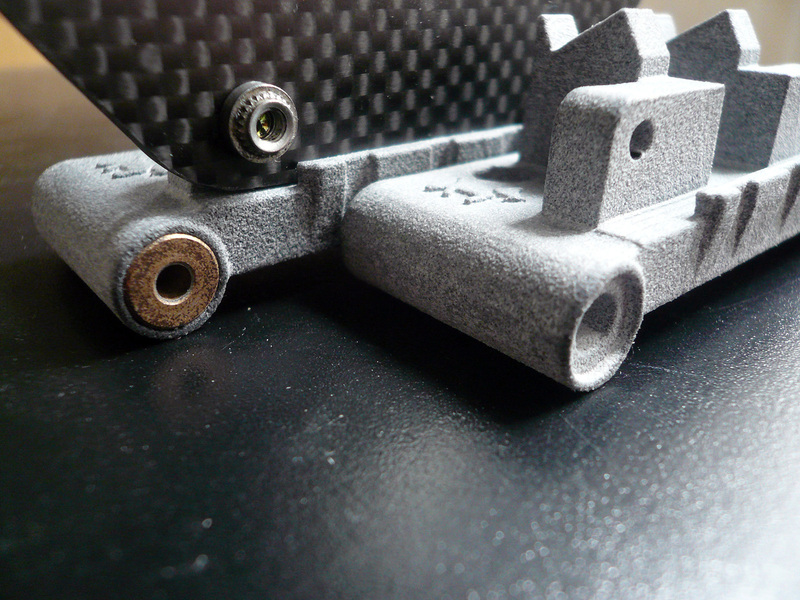 Its possible to mount 3mm carbonfiber shockmounts but for the rest its close to the original. 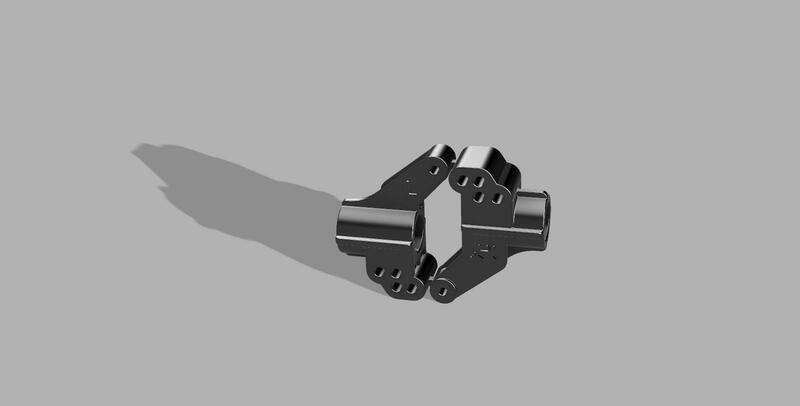 And here is a version for the TRF211x convertet Dyna Blaster DB211x. The pikes are +2mm so no spacer needet between bulkhead and upper deck. This is my solution with using brass bushes. All looks fine, very low friction as expected. 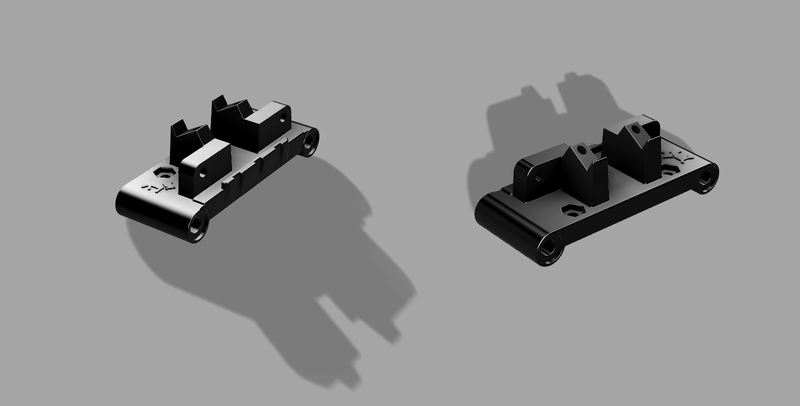 Some minor changes and its going up to shapeways by next week. 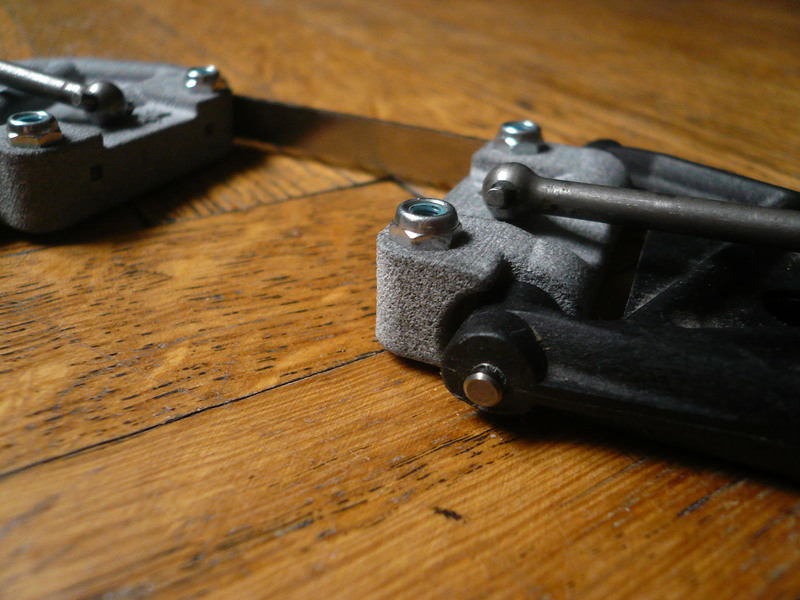 C-Hubs with 3deg toe-in. They are pretty close to the original, did not do any changes. Maybe I´ll do a second version with some more material here and there. New parts arrived. Bulkhead fits perfect now. I´d prefere them in all black. Did you know you can dye the models black yourself too? Just get some RIT fabric dye like the racers used to use for nylon wheels and stuff. It works very well. Nice to see your getting the PA12 to work for your models in terms of accuraccy. I didn't have good experience with it. 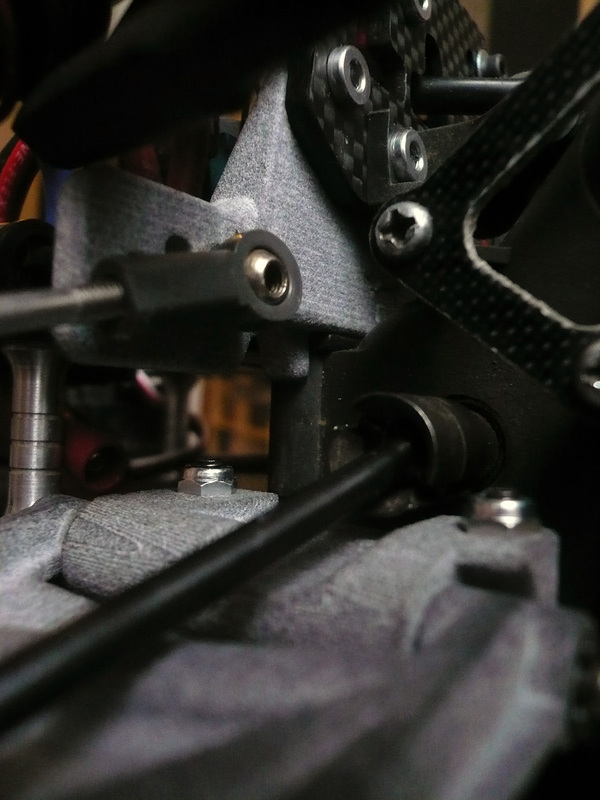 Any tricks you use for the fitment (such as fixed orientation, tolerances etc.) that you can share? I already saw some dyed samples of PA12 prints at the printshop. Did really looked good to me. But for now the focus is on perfect alignement. 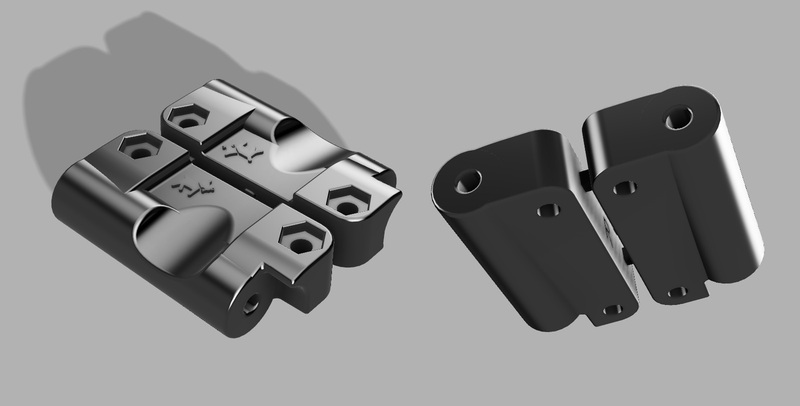 I simply did the constraction like the original part, used the caliper and did focued on the last digits, which is 0,05mm tolerance. So far the prints had this measurings at the end. I just add some 1/10mm here and there to reduce play, figured our the right diameter for screws (2.5mm) and hingepins (3mm). What I really like, the screws are polted in now and dont move anymore. No more tappnig screws needed, only DIN M3 and its fine. 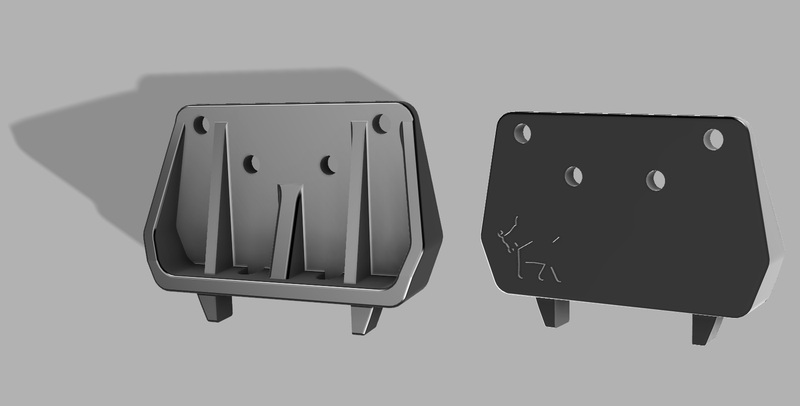 Anyway, at the end I should print this part at shapeways too, just to see if there is any differnce in measuring betweeen the printshops. Rear hubs done. Very much like original. 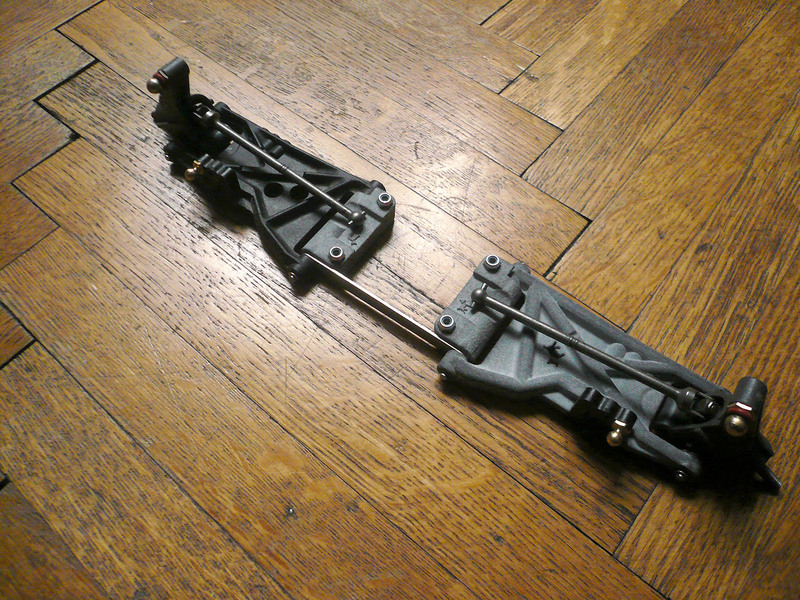 Now its just the gearbox left. Keeping vintage RC alive. 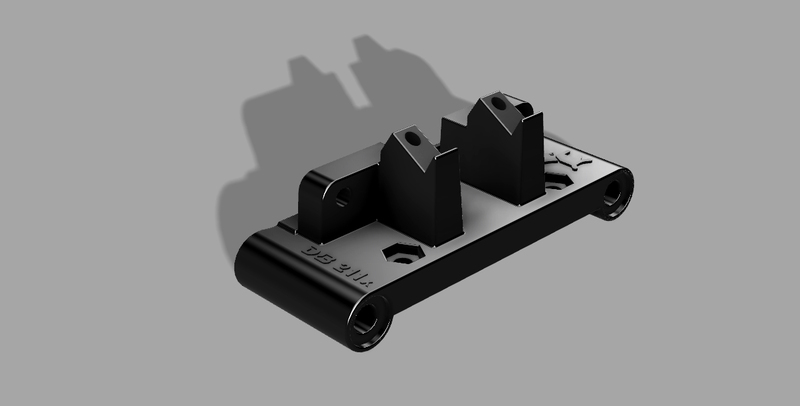 Also, I suggest swapping the internals for modern ones so you can get more diff options. 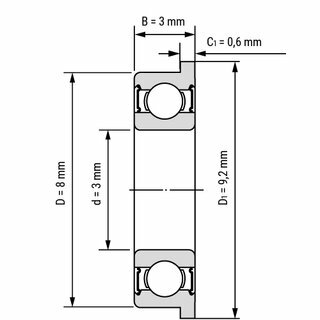 With your susp arms have you considered recesses for proper bearings? Would be PLUSH. I know, gearbox will be this kind of self-flagellation typical for around easter in some christian communities : ) But I like to crack some nuts. What bearings do syou talk about? Instead of the hingepin? You are not talking about the rear hubs double bearing... Please explain waht you mean, I dont get it right now. I never had any problems with original internals but your offer sounds too good! TA06 diff, not a bad idear. Maybe we can team up with this project? I am afraid, right now I have so many other projects to finise bevor end of may, so I will not start this gearbox bevor summer. 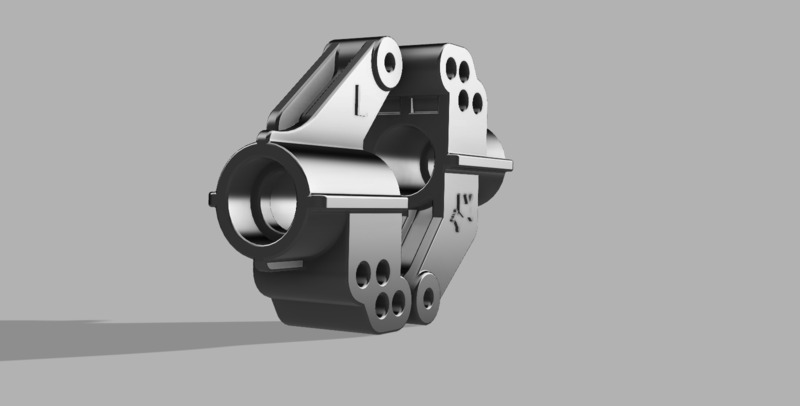 I was just studying my DB211x Dyna Blaster while laying on the couch I figured out, alomst 80% of the parts are remade. No one need to be afraid running out of spares. 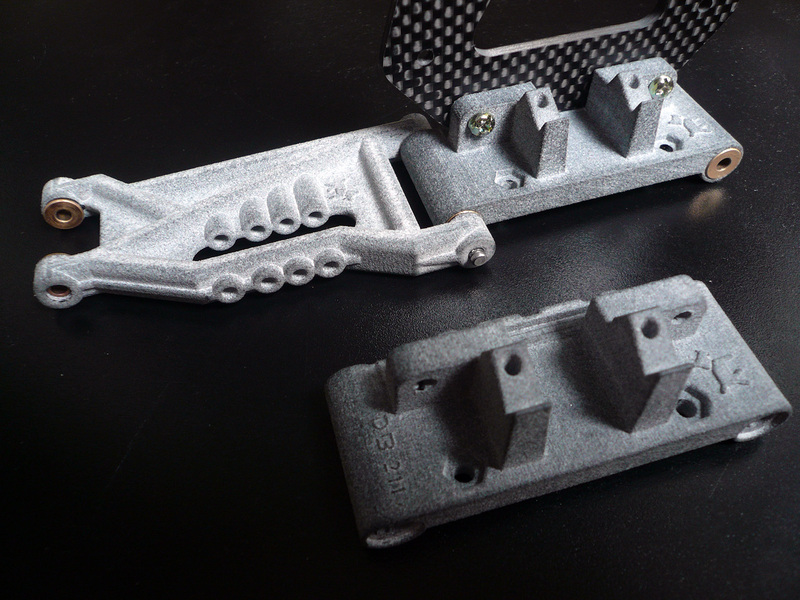 3D print and ths CNC stuff is really a pleasure to work with, nowadays. Happy to help. 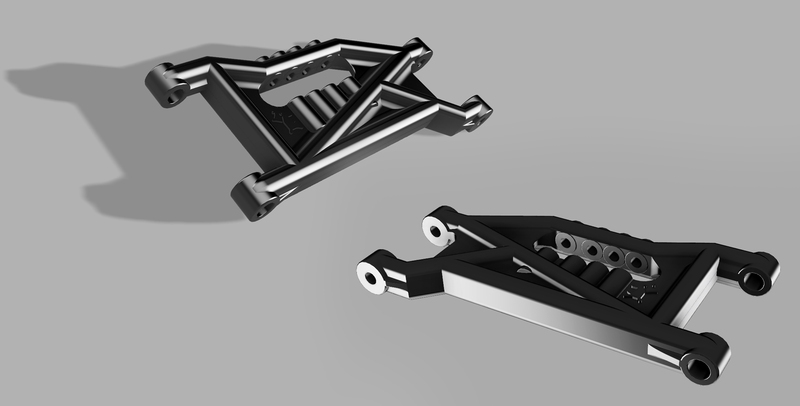 If I have measurements or 2d cad of the interface to the chassis and the motor plate I can throw together a concept for the gearbox very quickly because I have all the shaft centres and widths for the intervals worked out already. I can send you through the solid works file to edit and finish off.